So if you follow me on Instagram then you already know that I have a new do. 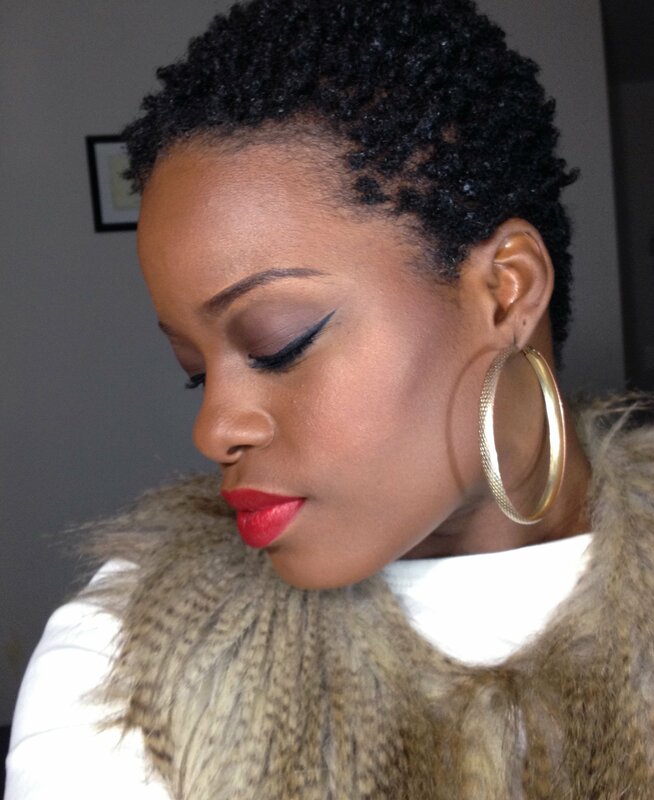 I did what’s called “The Big Chop” and cut off my relaxed hair to rock my natural texture. In preparation, I rocked braids for 3 and a half months to transition so that I could at least have a teeny weeny afro or TWA. I took my braids out last night and just took the plunge and did my big chop myself. Now I make it very clear that I’m #teamrelaxed and proud on this blog and if you’ve been reading for a while then you probably remember my post Relaxed & Proud that caused quite the stir. Now all of a sudden I’ve switched to #teamnatural and you’re probably wondering why so here goes. I’ve been relaxed all of my adult life and childhood. In fact, my mom relaxed my hair when I was just 9 years old as I guess my natural texture was just too much for her. I remember spending all day Sunday every other week getting my hair washed, deep conditioned, blow dried, lightly pressed and then braided. Yes all of that. My hair was extremely thick and coarse, and shriveled badly. When my mom relaxed my hair she didn’t know how to take care of that well either and it broke off bad. I began taking care of my own hair at 12 years old doing my relaxers and braids, flat twists, weaves, phony ponies you name it, when I wanted to switch it up. My hair grew and broke off a lot during this time period as well. It wasn’t until I started going to the Dominicans in HS to get my relaxers and wash & sets on a regular basis that my hair begin to thrive and grew to almost bra strap. I cut it into a bob with bangs after I started college and had cut it into a pixie for the first time when I was turning 21. When I let my hair grow out I once again begin to take care of it myself. This time around I knew what I was doing and I’ve managed to maintain a healthy, well for the most part healthy head of hair. I got my pixie cut about 4 years ago and never looked back. The first time I had it cut professionally, but maintained the cut along with my relaxers myself. I never had any problems until about a year and a half ago. My hair started to get really dry and brittle and started to break off in patches. I thought that I had a bad relaxer. So I stopped relaxing as frequently and nursed my hair back to health. I started to get random spots that would itch really bad. And I’d scratch it and notice that it had broken off to the new growth. My hair was still suffering from extreme dryness and would break a lot, especially at the crown. I started doing protective styling more in the form of box braids to give my hair a break from relaxing. But I found out what the problem was almost a year ago. I was diagnosed with Hashimoto’s Thyroiditis. An auto-immune disorder in which the body attacks the thyroid as if it’s foreign. It eventually causes permanent Hypothyroidism, which is an under active thyroid. You can find more information on Hashimoto’s Disease here. My thyroid is still functioning and I don’t have to take medicine as of yet. But I still suffer from pretty much all of the symptoms of Hypothyroidism. One being hair loss or thinning, brittle hair. Since my thyroid will eventually stop functioning and Hypothyroidism is something that I will have to deal with for life… I decided to stop relaxing as the process in itself can make the hair dry , brittle and thin. That is why you must take really good care of your hair when relaxed with proper moisture and protein balance to avoid these things. With my body working against my hair I felt that it would be best to just avoid the chemicals for optimal hair health. As mentioned, I have not seen my natural texture since I was a child. And with all the work that my mom put in I figured that it would take some work. My natural hair is still really thick and coarse. And now dry as the desert on top of it all so moisture will be my best friend. I did my research while transitioning. But I know it will take time to learn my hair. As well as find products and a routine that works for me. I’ve been getting a lot of compliments but honestly I’m still on the fence about the new style. I absolutely love my pixie cut and I have to get used to this new do. Eventually I know the style will grow on me. And I’m willing to do whatever it takes to keep my hair healthy so here starts my new journey. I plan to get it tapered a bit in the back and on the sides. Whew that was long lol. I love it!!! I am as well a stylist and decided to make that transition as well. I haven’t done the “Big Chop” but I do have a pixie cut! Your cut is BEAUTIFUL and you are to! Thank you so much, Charese! The look is lovely! Thanks for sharing information on the medical condition. It’s very important to bring awareness to something like this. All the best to you in health and wellness! It looks really cute on you. I have a close friend with thyroid issues so I understand where you’re coming from. You know I was a big fan of your relaxed and proud post, because I am relaxed and proud myself. LOL! I’m sure you will get the hang of natural life soon. Girl you look amazing!!! You are fierce with any hairstyle! I know what you mean about being on the fence—it’s a big change for you but you’ll get used to it. And a sew-in or half-wig/wig is an option when you want to switch it up. My only advice is while it’s short to keep getting cool haircuts even though the first thing many people think about after BC’ing is to maintain growth and forsaking style for growth. I think NOT doing that is what made me super bored after I BC’d and made me want to start straightening my hair so often. You maintained great cuts when you had relaxed hair so I know you’ll do so now that you’re natural. oh and we need to do drinks or something soooooon! 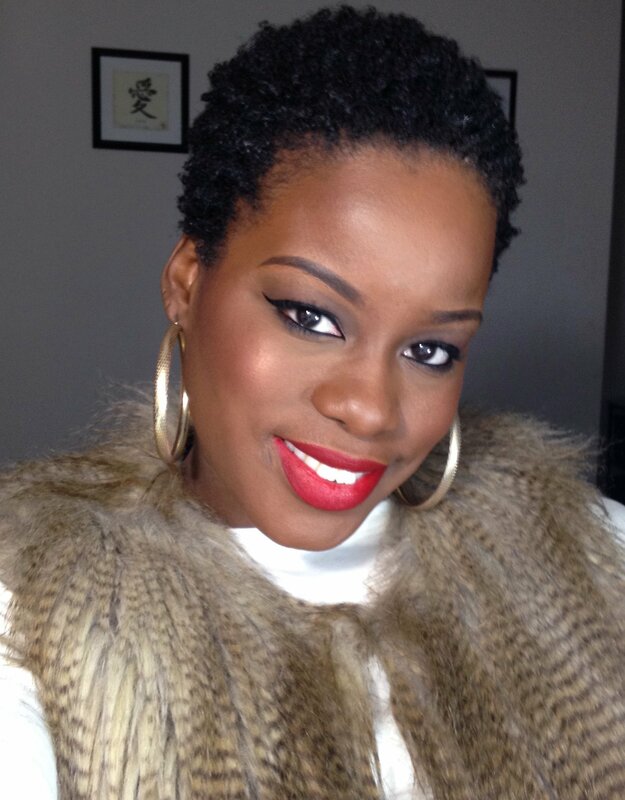 I love that you made the decision to do “The BIG Chop”, something I won’t be able to do. I am also a stylist out of New Jersey and I’m in the process of transitioning. I have a short cut, which can be a bit hard to manage but I’m dealing with it. You look FAB in your cut! I love it!!!! I’m sure you will to once you get use to it. Once your hair grow out you can always go back to your pixie love! Your so beautiful, continue to strive for nothing but the best! you look great. Take care of that thyroid issue. Your hair looks great here. Thick, rich color and lovely well-oiled coils. What creams/lotions or potions are you using in these pictures? Thank you, Bianca. I washed with SheaMoisture African Black Soap shampoo followed by the Moisture Retention Shampoo. I deep conditioned with SheaMoisture Purification Masque and applied their Restorative Conditioner as a leave in. I sealed it with SheaMoisture Restorative Elixer then applied a little of their Curl Enhancing Smoothie, water and Olive Oil Eco Styler Gel. I did the coils with a brush. I know this sounds like a lot but my hair was very thirsty when I took out the braids. I’ll do a post on my routine when it becomes more settled. Check out maxhydrationmethod.com. They also have an instagram. 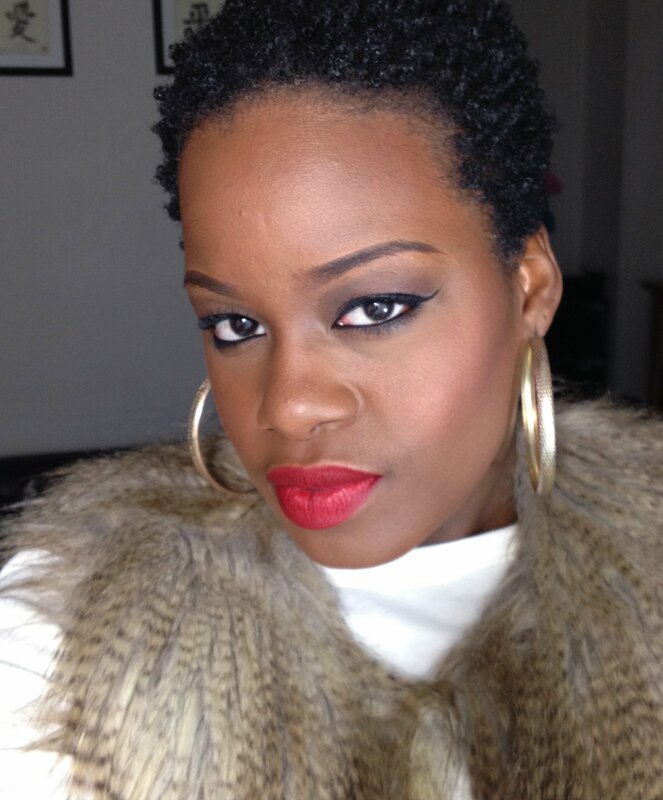 I’ve been doing it since August 2014, did my big chop in September 2011, but my hair has thrived only since starting the method. 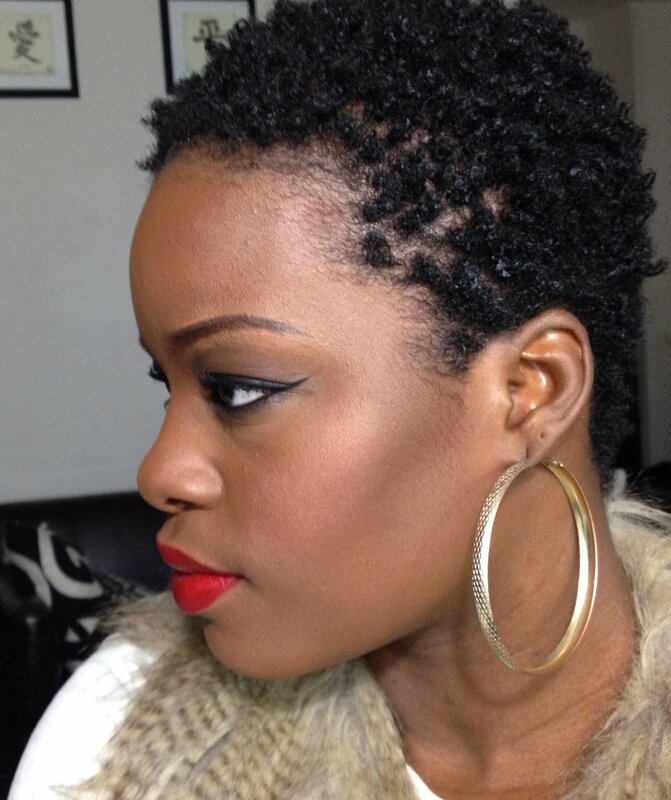 I’ve previously worn protective styling but only want to wear my own natural curls and coils now. Thanks for the tip, I’ll check it out. I love your hair and I pray you continue to have faith. Looking forward to seeing your journey. How do you feel being hypo? Have you gained lots of weight? Since I know that can be a symptom also? 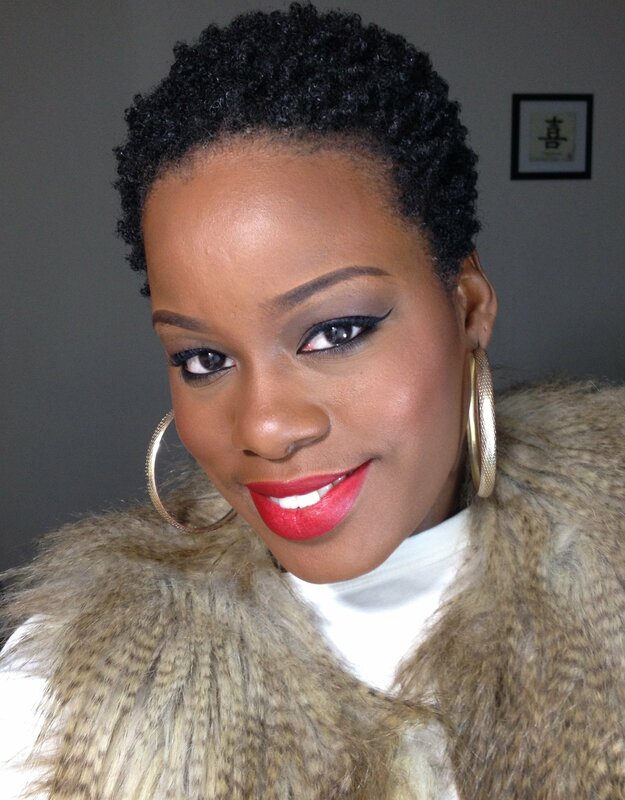 Hi Erica…thanks for such great hair and beauty advice..i follow on Instagram, Fb and Youtube. I was wondering if you could do a video, blog etc on fashion or OOTDs with a TWA as I have come to realise that not all outfits (especiallt winter) suits a TWA …thanks. I can definitely feel where you’re coming from on this post. I do have hashimoto’s and it took me from noticing a drastic weight gain and my hair falling out in patches (back and sides mostly) to find that out. I may or may not have to take meds for life, but I’ve been on it for a little over a year. Going natural and trying to maintain a healthy lifestyle have definitely been challenges, since I am a college student who’s always on the go lol. Your post was definitely inspirational. If you can do it, I can as well! Thank you for sharing your hair journey! For someone like me just starting my own journey to natural it means the world to have beautiful black women, like yourself, share your story & wealth of information! You are very welcome and I am glad that you are finding my story helpful. Thank you for your kind words! Hi. Am so glad I found your site. Have been going natural since last year but haven’t seen any progress and I sometimes find it very difficult to continue but when I saw your picture and click on it, it gave me hope to continue. I think my hair is 4c type very thick and get dry very fast. I know it may sound very silly to ask this type of questions but just need a tips on what to do and not to do for my hair to grow. How many times should I wash my hair?